Food Tours: a food what? A food tour in action! Ever wonder what a food tour is? Let us show you! A food tour is a tour that brings you to several restaurants, all in one day. Think of it like a progressive dinner: you get appetizers at one restaurant, an entree at another, another entree at another, a cocktail at the next place, then dessert at the last place. While walking to each restaurant, a tour guide will share with you their knowledge about the city and the neighborhood. Here in Baltimore, Bite of Baltimore is the city’s NUMBER ONE tour, according to Tripadvisor! 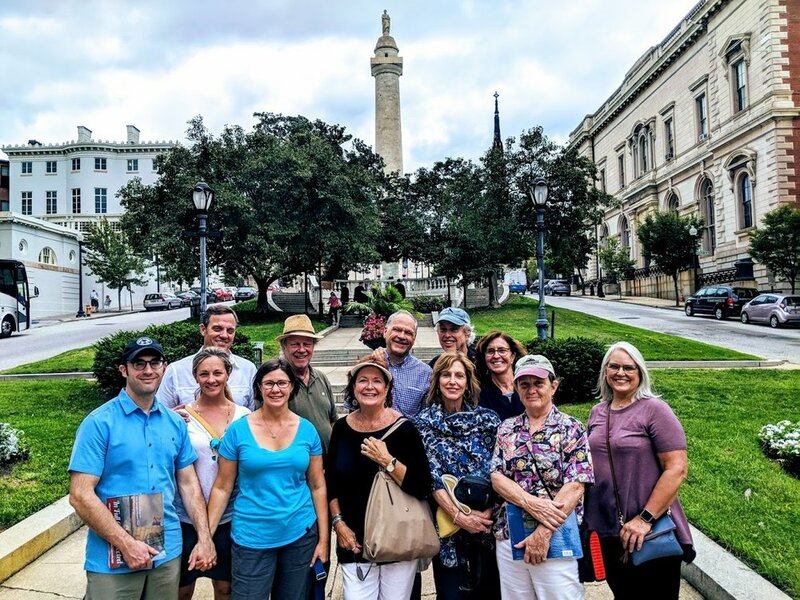 We offer tours in two different neighborhoods: Fells Point and Mount Vernon. Gift cards for friends and family, tours for yourself! At a loss for gift ideas for friends and family? Can’t think of what to get someone who has everything? Give them the gift of fun! Let us show you why Bite of Baltimore is the NUMBER ONE tour in the city! Our guides are fun, our food is delicious, and our service is impeccable. We offer gift cards for future tours. Don’t forget to get something for yourself: you deserve a gift too!! We can’t wait to show you the wonderful sights and delicious eats Baltimore has to offer!